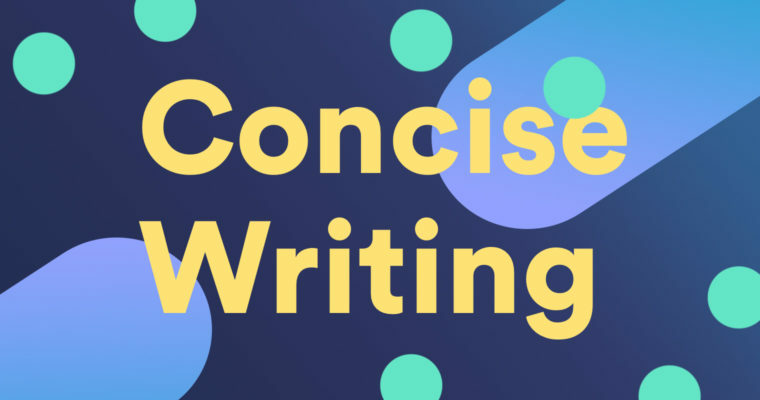 What is Concise Writing, and Why Does it Matter? Wordy: In my opinion, I think that’s a problem. Concise: In my opinion, that’s a problem. Wordy: The course had several necessary requirements. Concise: The course had several requirements. Wordy: Brunch was very good. Wordy: She struggled to sit through his really boring speech. Concise: She struggled to sit through his tedious speech. Wordy: Career growth was an important factor in why I decided to join. Concise: I joined to advance my career. Wordy: I’m interested in the areas of history and biology. Concise: I’m interested in history and biology. Wordy: For all intents and purposes, this project will be outsourced. Concise: This project will be outsourced. Wordy: Needless to say, I think we should get grilled cheese. Concise: We should get grilled cheese. Wordy: If this was something caused on our end, it might be something to be aware of. Concise: We should be aware of this in case something on our end caused it. Wordy: The error message was written by robots. Concise: Robots wrote the error message.